Things are going forward in the process of investing in Costa Rica, and only a few steps are left before you can start enjoying the Costa Rican lifestyle in a place of your own. However, each of the following steps is as important as the ones you have already taken. At this point you are about to close the deal and you need to decide under whose name you will register the property you are acquiring. You can decide to register the property in Costa Rica under your name or under the name of a Costa Rican company (ask your attorney in Costa Rica about the types of companies and which is the best choice for you). In general terms, both ways are pretty much alike; each is completely legal, the property in Costa Rica is yours and you have the legal ownership of the land in Costa Rica with all rights and obligations. They also have their differences. With the use of a Costa Rican Company, your name doesn’t appear in the registry of the property, only that of the company. Additionally, in the future if you decide to sell the property, you need not transfer the title to the land, you can simply sell the company with all of its registered assets, i.e. the Costa Rica land. This will avoid transfer taxes. Costa Rican law recognizes rights of possession with regards to land in Costa Rica. If a person has established themselves on a particular piece of land in Costa Rica for a specific period of time, even if this land isn’t registered under his/her name, he/she could claim possession of that land and apply for legal ownership. The process does take some time and if challenged, does not guarantee the “possessor” will become the legal owner. It should be noted that this process is subject to very strict and limited regulation, and several conditions must exist for a person to claim any rights to land that has not been acquired through legal transfer. The general conditions are (1) the “good faith” of the person claiming possession and (2) this person has to be acting before others as if he/she were the legal owner of the property in Costa Rica. In productive land (e.g. a plantation or a small farm), different regulations apply, and besides the general conditions, this person must have worked the land and made it productive for as long as he/she has been living on it. Additionally, for a person to claim possession, he/she must have been living on the land in Costa Rica with all the conditions met, for at least one year on productive land, or for at least three years on any other type of land in Costa Rica. According to those conditions, it is very unlikely that a person can claim “good faith” and “acts of ownership” on any land in Costa Rica acquired legally by the purchase procedure explained in this Costa Rica real estate guide. Even less probable is that these conditions could be met for three years without your knowledge. The easiest way to prevent potential squatter issues is by living on the property you are acquiring. If you are going to be traveling back and forth from your homeland, we recommend that you have someone you trust keep an eye on your property in Costa Rica. If squatters appear on your property, the Costa Rica law gives you the right to evict them provided that you initiate the eviction within three months of the appearance of the squatters. If this process is not initiated in time, there are other legal procedures that will help you maintain your rights of ownership of your land. Title Guarantee: In many countries when you are in the process of investing in real estate, the Title of Ownership of the land is crucial. When it concerns Costa Rica real estate though, we have the National Registry, where all properties in Costa Rica are registered with the name of the current owner and the need for a physical Title of Ownership is not necessary. The Costa Rica National Registry will provide certified documentation of ownership of any registered property in Costa Rica at any time. These ownership documents are a matter of public record. However, the Costa Rica National Registry alone does not provide you with any guaranty that no defects or recording errors have occurred during the registration process related to the transfer history of particular properties in Costa Rica. Any errors may place in jeopardy the rights acquired and in extreme cases could even result in a loss of your investment. For this reason, the use of Title Guarantee is highly recommended as it can provide an investor security against questionable title issues. Guarantee offered by an internationally known and respected company is the best choice for your protection. The benefits of the Title Guarantee in Costa Rica are strictly related to the prevention of losing the property due to defects in the transfer history and do not extended to buildings or land structure problems. It also may help to secure credit with a financial institution. Additionally, if the owner decides to sell the property, the Title Guarantee will give the prospective buyer the same reassurance. In case of a legal problem regarding the Title, the company that issued the Guarantee will usually compensate the owner the value of the property or the legal cost related to proper representation in court. Usually the cost of the Title Guarantee is 0.5% of the property value and it is a onetime payment. At this stage everything is ready to consummate the deal: you have found the land you wanted, the due diligence of your real estate in Costa Rica has been completed, your legal counsel has given you the green light, the price of the transaction has been established by you and the Seller and now you are ready to sign all the documents required to complete the closing and finally become the owner of your property in Costa Rica. The main document that you and the Seller will sign before a Notary is a “Deed of Transfer.” This is a very formal document printed in the Notary’s Protocol or legal book. In this Deed the Notary will indicate all the information of the property, the Seller and the Purchaser, the kind of transaction that is being performed, and also its cost. This document will be signed in Spanish. The Costa Rican lawyer will translate it to you under oath that everything he/she will read to you will be an accurate translation of the Deed. The original document, the one signed by all parties will remain in the Notary’s Protocol and a certified copy will be sent to the National Registry in Costa Rica to be recorded. You can have a copy of this original document if you want to, but never the original. Once the document is signed by all parties, the transaction is considered to be closed. 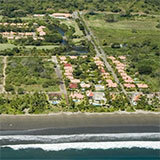 Once the amount agreed is presented to the Seller, the property in Costa Rica will now be yours. However, the Deed needs to be presented to the National Registry for them to register that you are the new ownership of the property. The Costa Rican Notary Public is responsible for presenting the Deed to the National Registry in a timely fashion. You should check with your attorneys in Costa Rica for verification that the transfer deed has been presented as soon as possible following the signing. At this point you should be patient as it may take up to several months for the registration to be completed (don’t ask why). Once this has been completed your attorney will provide you with the certification of the new ownership of your piece of real estate in Costa Rica. Legal Stamps: 1% of the contract price. Property Transfer Taxes: 1.50% of the contract price. There is no established rule about who pays for the closing costs and that’s why it is so important to negotiate this issue with the Seller while negotiating the price that you will be paying for the property. The most common scenario is that the notary fees are shared equally but all other transfer related expenses are paid for by the Purchaser. However, as we said, this is something you can negotiate with the Seller. Sometimes the property you are purchasing has been mortgaged previously by the Seller. This situation usually doesn’t represent any problem and your Costa Rica real estate lawyer will inform you of it at the time he does the Due Diligence. Sometimes, when there’s a mortgage on the property, it is cleared prior to the Closing; in some cases it is paid / removed at the same time and even in the same Deed as the Transfer Deed. Either scenario represents no problem because your lawyer will insure against any complications. The cost to remove the mortgage is paid by the Seller, and the Purchaser has the right to choose the lawyer. If a person has to leave Costa Rica for some reason and has investments or real estate in Costa Rica or interests of any other kind in the country, it is recommend leaving a person of trust in charge of those interests for as long as he/she is away. The legal procedure to do so is by granting a Power of Attorney. The Power of Attorney is a legal instrument by which a person (the principal) gives another (the agent) the legal capacity to act on his/her behalf according to the extension that the Power itself allows him/her. Full Power of Attorney: This Power allows buying and selling any goods, accepting mortgages on properties, acquiring debts, giving any good as warranty, signing checks, etc. It is a Power of Attorney in which the agent can appear before almost any authority on behalf of the principal and act in almost any kind of situation in his name. General Power of Attorney: This Power of Attorney is to be used for administrative purposes. It’s the power given usually when you have a business and you need someone to manage that business on your behalf. It allows hiring help, signing invoices and, if not limited to the contrary, performing any activity considered normal for the business or company. Special Power of Attorney: It allows the agent to perform only a specific act or sequence of acts, each one specifically described in the Power. Any other act that is not enclosed in the Power itself cannot be performed legally. *Note: It is important to emphasize that when a principal gives the power, he/she can state any limitations he/she will consider appropriate, depending on the needs and trust he/she has in the agent. Once you have purchased your Real Estate in Costa Rica, you probably are interested in spending more time in Costa Rica, start working or perhaps you are considering moving here permanently. If you are a citizen of the US, Canada, or Western Europe and you entered Costa Rica without any visa, you were given a tourist permit to stay in Costa Rica for ninety days. During this time you are not allowed to work and obviously you don’t want to stay longer to avoid any immigration problems. Once you have left Costa Rica within the ninety days period, you can re-enter the country again with a new ninety-day permit, provided that you have been out of the country for at least seventy-two hours. However, if you are interested in working in Costa Rica or moving to Costa Rica permanently, you should start the residency paperwork as soon as possible. There are several categories of residents in Costa Rica: investor, resident by bond with Costa Rican (person with Costa Rican children, spouse, parents or siblings), resident as a technician of a recognized company or a non-recognized company, “pensionados” (retiree), political asylum, religious, executives or technicians and resident as dependent minor of current residents in Costa Rica. Birth Certificate. Original document with an Official certified Translation to Spanish. Marital Status Certificate. Original document with an Official certified Translation to Spanish. Police Report: It is a certificate issued by the Police Department of the applicant’s town of current residency. It must be issued no more than three months prior to the time you present it to the Costa Rican Consulate or Immigration Authorities. This document must also be accompanied by an Official certified Translation into Spanish. A formal letter requesting the residency, stating the reasons and the category under which the residency in Costa Rica is being requested. Special Power of Attorney to a representative in Costa Rica. Four passport sized pictures, facing front. A copy of all the passport’s pages, duly certified by Costa Rican Notary Public. A fax number in Costa Rica to notify you of any resolution. Fingerprints taken at the Costa Rican Police Archive. All categories of residency application must be presented to the Costa Rican Consulate with jurisdiction over the place of current residence of the applicant. The exception for this applies when the category of residency is either bond with Costa Rican, children of a current resident or political asylum, in which cases the application has to be presented before the Immigration Authorities in San Jose, Costa Rica. Each Century21 Office is independently owned and operated. © 2000-2011 Century 21 Beach Area Properties real estate. All Rights Reserved.